It’s that time of year again. Time to put the bathing suites, towels, and beach belongings away and get ready for books, backpacks, note pads and pencils, its back to school! With all of the returning students, teachers, staff, parents and even your occasional visitor here and there your going to want to make sure that not only is the school prepared, but properly cleaned to make it the best back to school experience possible! Here are some tips and tricks that Bestway Carpet & Tile Cleaning your top commercial carpet cleaning, floor waxing and cleaning service in NJ has to offer. 1. Prepare, prepare, prepare. Make sure that you get something down in writing of what you need to work on over the summer, but also your game plan for when school starts. Make sure that you have a reliable staff, but also a company on hand to come in and take the big jobs. 2. Address floor care specifics. Whether they are going to be big summer cleanup projects, or projects that you know you’ll need to work on all school year long. You have to figure out which type of floor care you need, whether its carpet or tile wok and make sure you divide it out accordingly. You can divide the facility into those floor areas that will be stripped/refinished; those that will only be scrubbed; and those that need only detail cleaning. 3. Make sure you evaluate all equipment issues, you should determine which machines are running properly, which need servicing, and which should be replaced. This is a very important tip to make sure you can save money in the long run. 4. How much tile and grout work do you need? Is this going to be a big job thats perfect for the summer? Or is this a job that you can get done throughout the school year to focus on other tasks? Bestway Carpet & Tile cleaning understands the importance of making sure that the hallways, bathrooms, athletic facilities are taken car of properly with a nice deep clean and waxing. Floor waxing services in New Jersey can be hard to come by. Bestway takes pride in making sure that every customer, big or small is taken care of and is completely satisfied once the job has been completed. We want to make sure that when we clean a school, wax the floors, clean the carpets that all children are in a safer place as a result. 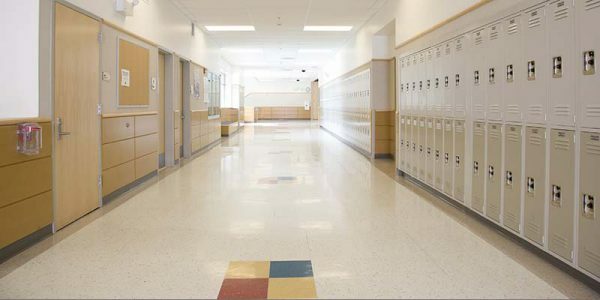 If your interested in any of our carpet cleaning, floor waxing or even tile and grout cleaning services for your school please don’t hesitate to contact us today or give us a call at 732-671-8829. This entry was posted on Tuesday, September 5th, 2017 at 9:46 pm and is filed under Commercial Floor Cleaning NJ.